Appears unworn and I do not find any problems. All round cut stones prong set and solid. Great color and about i carat TW. Color Stones Change (White Topaz, Blue Sapphire, Ruby etc). Diamond Type - Natural, Real. Diamond Clarity - SI1. Diamond Color - I-J. Diamond Cut - Excellent. 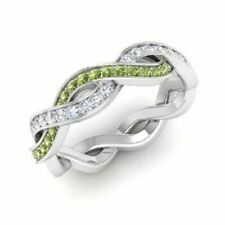 All our products are of high quality and jewelry at reasonable prices. As we buy in bulk and have our own Factory so it makes you save around 75%. Free Custom Ring Sizes. 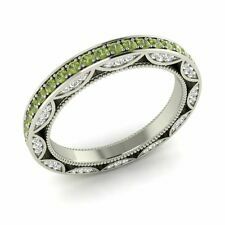 Natural Peridot SI Diamond Wedding Ring in 14k White Gold - 1.03 Ct. Gemstone Peridot. Quality SI (Color G-H). Gemstone Diamond. CutR Round. Double your traffic. Any jewelry you receive from us, is certified by leading gemological laboratories like GIA,IGI and SGL. Color Stones Change (White Topaz, Blue Sapphire, Ruby etc). Total Carat Weight - 1.08 Carat. Diamond Type - Natural, Real. Diamond Clarity - SI1. Diamond Color - I-J. Color Stones Change (White Topaz, Blue Sapphire, Ruby etc). Diamond Type - Natural, Real. Total Diamond Weight - 0.54 Carat. Diamond Clarity - SI1. Diamond Color - I-J. Color Stones Change (White Topaz, Blue Sapphire, Ruby etc). Diamond Type - Natural, Real. Total Diamond Weight - 0.35 Carat. Diamond Clarity - SI1. Diamond Color - I-J. Natural Peridot. 0.925 Sterling Silverrose gold. Band Width: 2 mm. ----Ring Information----. 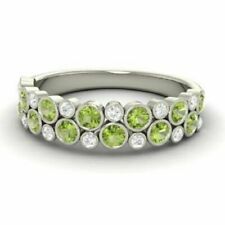 Gemstone - NATURAL PERIDOT. Gemstone Wt - 1.0 Ct. 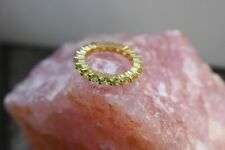 Jewelry Type - Ring.